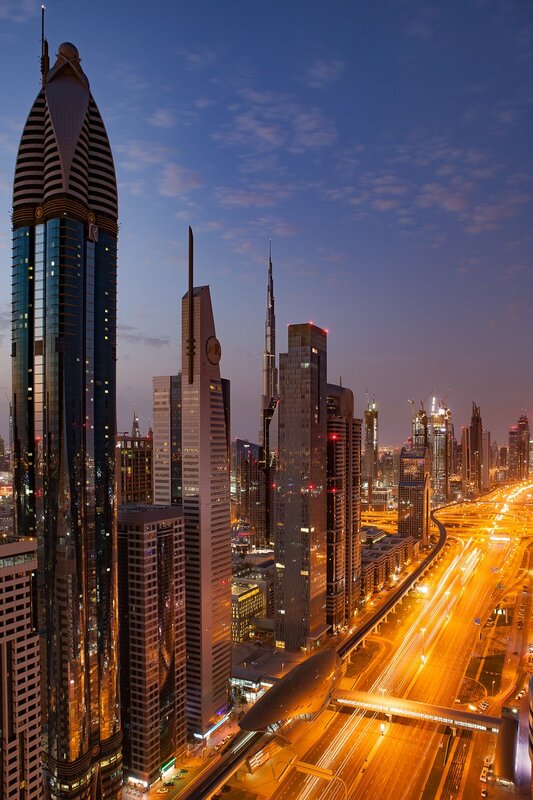 Abu Dhabi is the bustling capital of the United Arab Emirates. It is often over shadowed by its nearby neighbor Dubai. There are many beautiful things to do and see in Abu Dhabi, it is worth a visit of its own. Abu Dhabi is a great choice of a place to stay rather than Dubai or in addition to visiting Dubai. Abu Dhabi gives you a better taste of the local culture as well as even more beautiful beaches to enjoy. There are many beautiful sites, you will not run out of things to do. The Grand Mosque (Sheikh Zayed Grand Mosque) is probably the most well known structure in Abu Dhabi. It is also one of the biggest mosques in the world. It is a stunning structure that you don’t want to miss. This mosque was designed to incorporate different muslim civilizations and embrace cultural diversity. You must wear an Abaya to enter and they are provided for you at the entrance if you do not have one. The Mosque will leave you in awe from the outside, in. The amount of detail and beauty is truly amazing. The perfect instagram worthy shots are waiting for you here. Taking a Desert Safari offers a great experience away from the city. You are picked up in the afternoon, then taken on a short drive to the sand dunes. The four wheel drive vehicles take you for a fast paced thrilling ride through the dunes. It’s not for those who get motion sickness easily. Next you are taken to a camp that allows you to participate in some activities of your choice. The one we attended had sand boarding, camel riding, henna, and a booth for trying on traditional clothing. It ended with a nice buffet meal and entertainment of some traditional dancing before heading back to town. This was a great way to spend an afternoon & evening. There are many different companies you can choose from for an evening in the desert. Yas Island is the place to go for all of your entertainment needs and beyond. It has Farrier World, Marina Circuit, Yas Waterworld and Warner Brothers Studios, as well as it’s own beach. There is also an abundance of shopping, restaurants and nightlife to enjoy in this part of the city. There is something to meet any interests. Corniche Beach is a great area to go for outdoor activities. There are long walkways and boardwalks that are perfect for taking in the view of the beautiful Arabian Gulf. Cycling and pedestrian pathways line the beach, along with free sports facilities that can be used. There are different areas of the beach you can enter depending on if you are going as a family, single or group. Corniche is a perfect way to spend a beautiful day outdoors with all kinds of activities. The public beach at Saadiyat Island is a perfect place to spend a relaxing day soaking up the sun and swimming the clear gulf water. It is clean and the water is clear. You pay a small fee to enter the beach for the day and you can pay a bit extra if you want a lounge chair included. The Louvre Museum is a highly recommended attraction to visit while you are in Abu Dhabi. The Louvre is a civilization and art museum that opened in 2017. The museum is full of all kinds of paintings & artifacts from around the world. The building itself is beautifully designed, you will be in awe as you walk through the different sections. This is the first museum in the Arab world that really celebrates being culturally open. A beautiful water feature runs throughout the museum and the laced roof was created to emulate palm trees that used to top houses. You can really spend hours here if you choose to, taking in the design and exhibits throughout. The Emirates Palace Hotel is another iconic landmark in Abu Dhabi. It is an immaculately designed hotel that was created with a mix of Arabian design inspiration along with modern luxury. It is surrounded by beautifully kept gardens. If you are not a guest, you can still visit and wander around inside and out. There are many amazing and beautiful hotels throughout the city of Abu Dhabi. 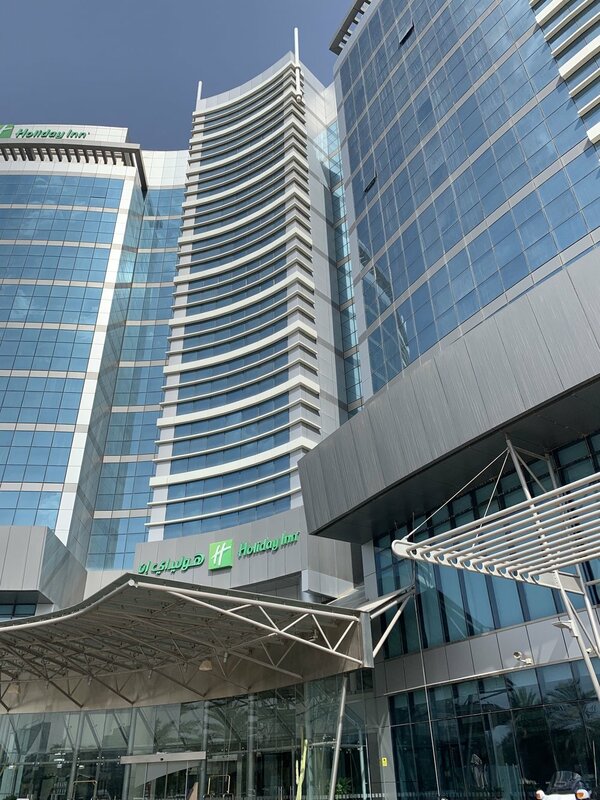 For my recent stay I chose to spend my four nights at The Holiday Inn Abu Dhabi. I highly recommend this hotel! It is a perfect mix of affordability, convenient location between the airport and downtown, great service and it has all the important amenities you could want. The rooms have a beautiful view with floor to ceiling windows. The room was thoroughly cleaned and restocked daily. the buffet breakfast has everything you could ask for and more. Having a good breakfast you can walk to is such a great benefit in my book when on vacation! The gym facility is clean and also includes a sauna, steam room and outdoor swimming pool. Having gym access is a big bonus for me on my travels. I also had a lovely massage in their spa that helped me to overcome my jet leg and relieve the tension of travel. There are several great food options within the hotel. I highly recommend trying Stock Burger. I tried my first Camel burger here and it was delicious! The prices are also really good! 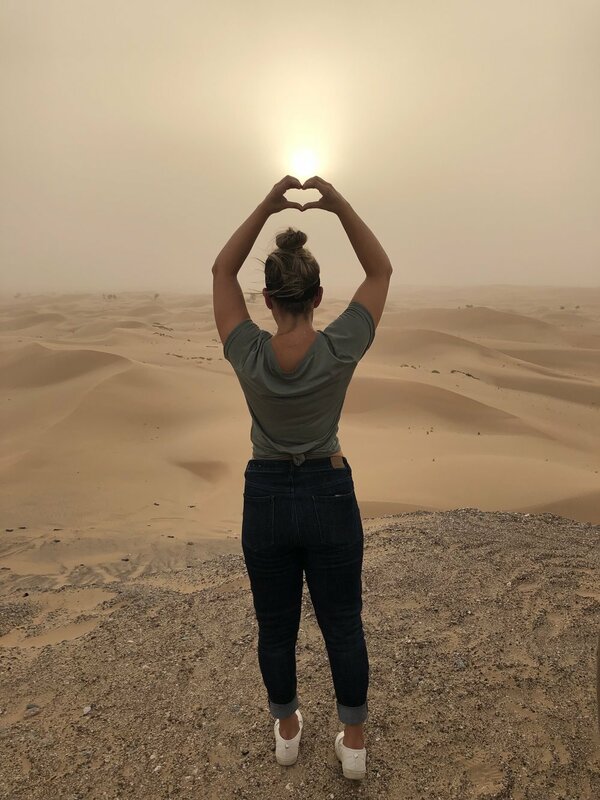 I hope you get to visit this awesome city in the desert and I can’t wait to hear about your experience.